Indians are well known for the spices that they put in their daily food. Traditionally all the spices would be ground in a mortar and pastel but now life has become much easier with the introduction of the mixer grinder. 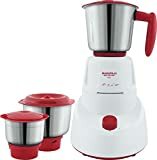 Size: For joint families wherein a number of members of the same family stay together, a heavy duty mixer grinder becomes a necessity while for a small family of 3 or 4 a normal one is enough to suffice their needs. The largest jar is for making juices, lassis and buttermilks. 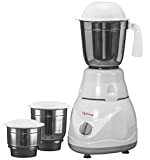 There are many combos also available wherein juicers or food processors are also combined with the mixer grinders to increase their efficiency and utility. The highest speed levels being used for superfine pastes or powders. RPM or revolutions per minute: Scientifically speaking the RPM refers to the number of revolutions a mixer grinder undergoes in 60seconds. In India, the RPM generally varies from 5000 to 20000. 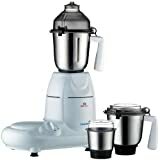 Ideally speaking a mixie with an RPM of 10000 is best suited to the needs of the Indian kitchen. 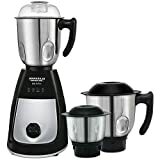 Power: The power consumed by the mixer grinder should also be looked into so that the product does not become too much of a burden on the household utility bills. 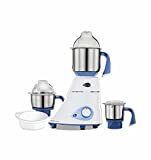 Mixer grinders available in the markets today generally use about 500 watts of electricity. This is an optimum amount and does not cause much rise in the utility bills. Warranty: As with any other electrical gadget, warranty is something that needs a good amount of deliberation and consideration. Hence a mixer grinder with a warranty of anything between 2 to 5 years makes for a good buy. Durability of the mixer grinder depends on the use and maintenance of the same. Hence irrespective of the brand purchased, the features of the mixer grinder work best when it is diligently used with care and after use maintenance.